Everybody knows that the Netherlands is a water-minded country. But that the Netherlands has also played a pioneering role internationally in the field of waste water treatment is not as generally known. 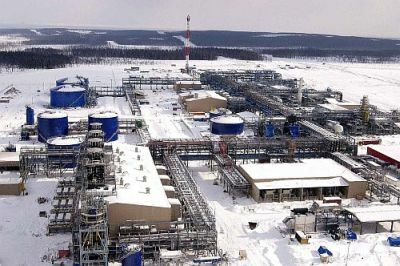 As part of the largest oil and gas extraction project in the world, in Russia, the process water is treated using a Dutch system. The Far East, Russia, Sakhalin Island. Oil and natural gas will be conveyed through 1200 kilometres of pipeline from 3 oil rigs to the On-shore Processing Facility (OPF). 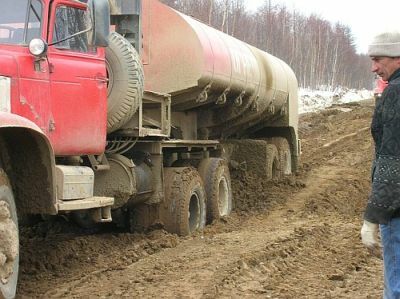 All of the different components for the construction of the largest integrated oil and natural gas production facility in the world, SAKHALIN II, will need to be transported over impassable roads. Shell is one of the partners and the Dutch company Triqua will supply the technology required to purify the process water. It is generally known that environmental regulations were quite varied 20 years ago. After a number of environmental scandals, we are now striving for global agreements. ‘Especially foreign companies are being watched closely’, according to Rick van ’t Oost, Triqua’s Project Manager for the Sakhalin project. Locally, all technology has to be delivered in accordance with GOST-R. To protect the health and safety of the Russian population and to protect the environment, goods imported into Russia must now be provided with a conformity certificate. This requirement has been effective as from 1993. The certificate in question, the co-called GOST-R certificate, indicates that these goods comply with the Russian safety and quality standards. It can be compared to our CE certification. To be able to adhere to the discharge regulations, various different water treatment installations will need to be built. Taking the local circumstances into account, the systems must be easy to transport. ‘Just looking at the roads out there is enough to dampen your spirits', says van ‘t Oost. In this area, temperatures can rise up to +40°C in summer and drop down to -48°C in winter. In the Netherlands, it won’t be such a problem if you accidentally forget to turn on the tracing, but if you were to do this in the Russian High North, everything would irrevocably come to a standstill. In addition to these temperature differences, the area is also given to violent storms. ‘If you want to set up a bioreactor in this area, you can’t just order a normal truckload of active sludge. Transport problems and extreme temperatures have led to problems in the past. Active sludge cannot be kept for long’, says Hans Ramaekers from the technology department within Triqua. A water treatment installation is often considered a suppositious part of technology during start-up, a great deal of attention and energy is put into the processing of oil and natural gas. ‘This is why we make available training materials in the local language before we start. A translation agency translates the English user manuals and training materials for us. This ensures that local operators are well-prepared during start-up and commissioning. We can then monitor Sakhalin at a distance by analysing the available data. In this way, we can remain sufficiently involved to guarantee a good quality of the water’, concludes Ramaekers.